Manchester United are discussing a move to sign Toni Kroos. The reports in Spain suggested that Manchester United are targeting Real Madrid midfielder Toni Kroos. The Germany international was signed by Real Madrid in July 2014 from Bayern Munich for a fee of 25 million euros. The 28-year-old has a contract until 2022 with the club. 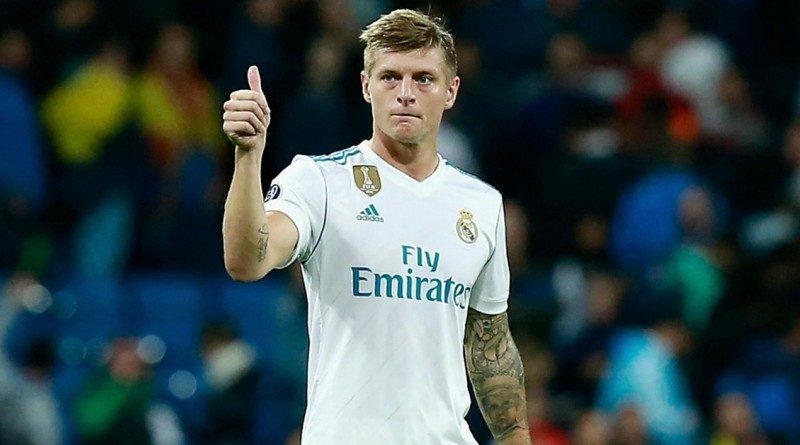 Kroos has played 190 times for Real Madrid since signing from Bayern Munich, scoring 12 goals and creating 54 assists in that time. The 28-year-old is considered to be one of the best midfielders in Germany. His record for Germany is also impressive. Kroos has scored 13 goals in 85 matches for Germany at senior level. Jose Mourinho is looking to shore up his midfield options and Real Madrid’s Toni Kroos happens to be a target. The Manchester United manager has been impressed by his performances last season and could make a move in the summer transfer window. Toni Kroos has the talent to play many roles in midfield. Real Madrid would be wise to keep the Germany international, but if they do let him go expect it to be for a hefty sum. Signing the 28-year-old in the summer transfer window would be a masterstroke from Jose Mourinho. Will Toni Kroos be a Manchester United player soon? Only time will tell.